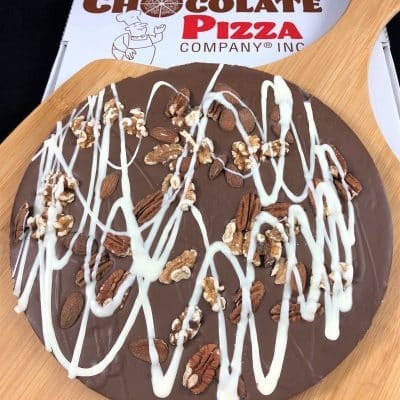 Build your own Chocolate Pizza with a border of pecans, almonds and walnuts is a clever way to customize your message. We start with gourmet milk or dark chocolate blended with homemade English toffee and trim the border with nuts before hand-scripting your custom build your own message in white chocolate. 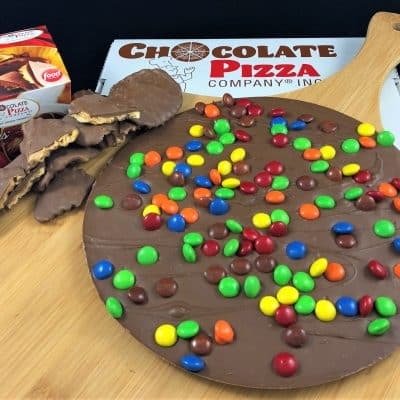 Tell us what you want written on the Chocolate Pizza. Customized Chocolate Pizza with a border of pecans, almonds and walnuts is a clever way to send your message in chocolate. 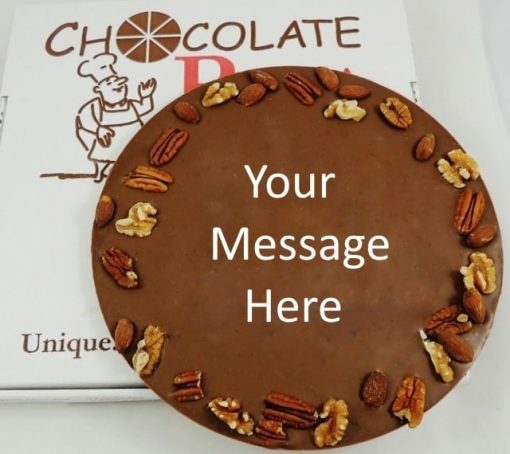 We start with gourmet milk or dark chocolate blended with homemade English toffee and trim the border with nuts before hand-scripting your customized Chocolate Pizza message in white chocolate. 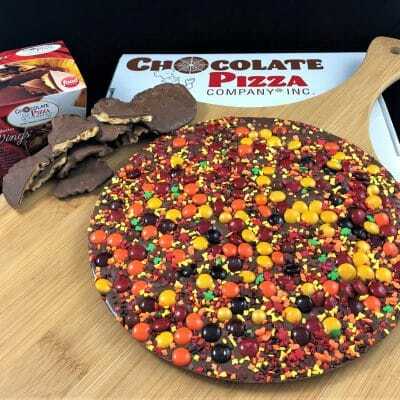 There may be impostors out there for the Customized Chocolate Pizza with Nuts but Chocolate Pizza Company makes the only trademarked Chocolate Pizza in America. Family-owned and operated, we are proud to make a gourmet chocolate gift that is unique, delicious and impressive. Enjoy!